Picked up a totally sweet SD2IEC board which allows emulation of the Commodore floppy drive from a SD card. It’s similar to the SIO2SD boards that do a similar function for the Atari family of home computers, except for C64. After getting it hooked up and being fairly impressed with the unit I noticed that my C64 doesn’t have sound. The one thing the machine is known for — it’s missing. First step was checking power supplies. Oddly I had a 2nd PSU on hand, swapped it in place and no go. The internet said it could be a culprit, this makes sense as the power supply has a DC line which would be used by the logic chips that make up the computer as well as an AC line which is commonly used for opamp ICs and stuff that has a +/- power feed. Anyhow the power supply checked out A-OK which doesn’t solve issue. Next step was to open the thing up, and hunt. Looking online I found details where the SID chip was and the datasheet. Poking at the chip while a music disk / demo was playing I could see the address and data lines were busy so not decode logic or data bus buffers to the naked eye. The thing is the output side of the chip just sits at a high voltage so it seems toasted. I didn’t check the two external capacitors, maybe later. The thing is the SID chip is the value of the machine and places like eBay are full of fake copies from China that don’t function. So this one goes on the shelf until a parts machine turns up. Matt Crainer brought me a donor C64 that had already been robbed of it’s keyboard controller IC. I carefully de-soldered the SID chip. I didn’t have a 28 pin DIP socket on hand, and instead of ordering one I ordered some break-away SIP sockets. The quality of the machine pin holes was not up to that of what I would get from a mainstream commercial mail order house machined DIP sockets, but it was good enough. Soldered two 14 position sip sockets. I cleaned up the SID chip first, trying to remove any excess solder or burs on the pins, didn’t want them to bend on insertion. Threw it in. Powered on the C64. I googled for some hints as to how to get sound without digging out the SD drive emulator and found a post from VCF/MARCH forum I believe on some addresses to poke. Noise was heard! All is good. Buttoned it all up and this project is checked off!!!! 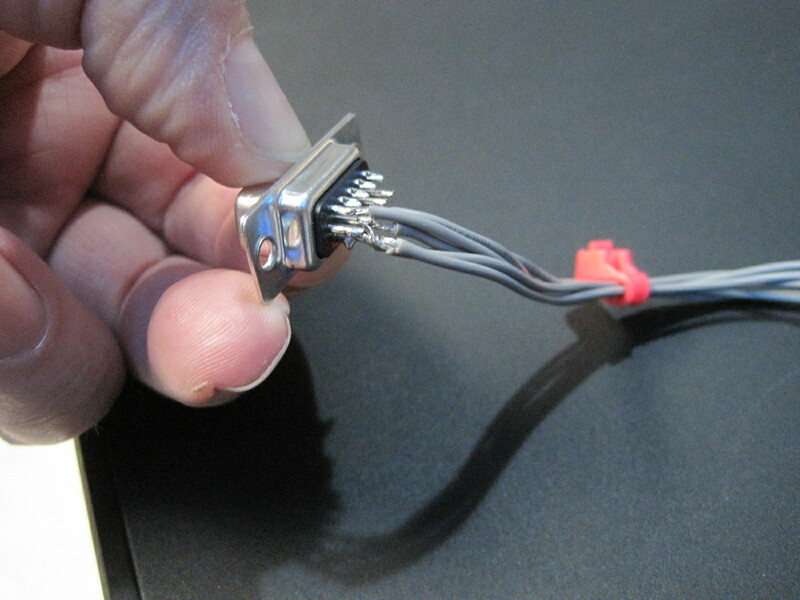 Picture added to slides above of soldered in SIP socket. MAGFest was approaching and I found a sweet deal on a few QSC BASiS units. For the record, I love QSC hardware. I’ve owned a few Digital Cinema amplifiers for many years, as well as a CX series. My goal back then was to have the THX cinema certified amplifiers for my home theater, and at the time people weren’t so aware of eBay. The amplifiers did suffer an issue or two which I suppose can be the subject of another post. There is a service bulletin. But back to the BASiS units. 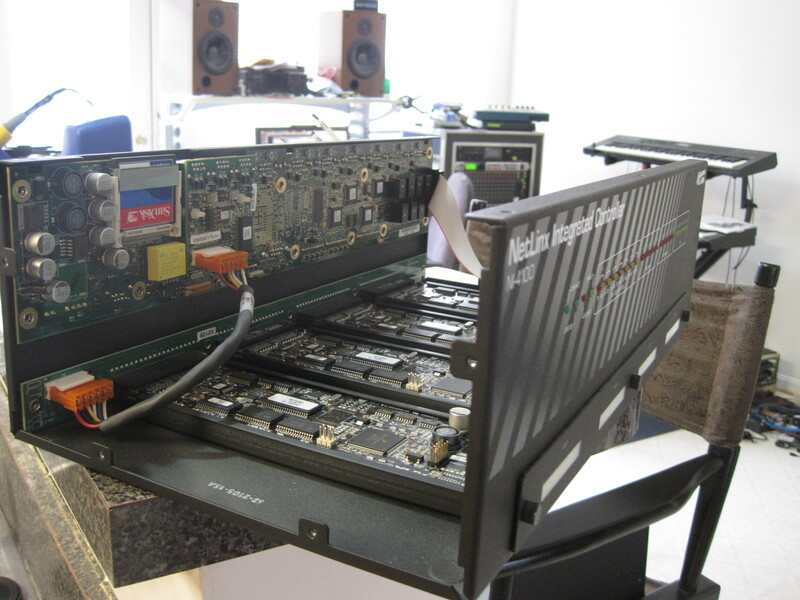 I was after some QSC units from their RAVE series that use an older standard called CobraNet. CobraNet does UDP broadcasts of audio packets, raw PCM uncompressed. The RAVE units that do analog tend to catch quite a bit more, but I stumbled onto the BASIS units which are meant to hook straight to the QSC amplifier dataports. The dataports are DB-HD-15 (think VGA) connectors that hook to management processors. Note – Don’t use a common VGA cable, all pins must be wired straight through and many VGA cables share grounds among a number of pins. 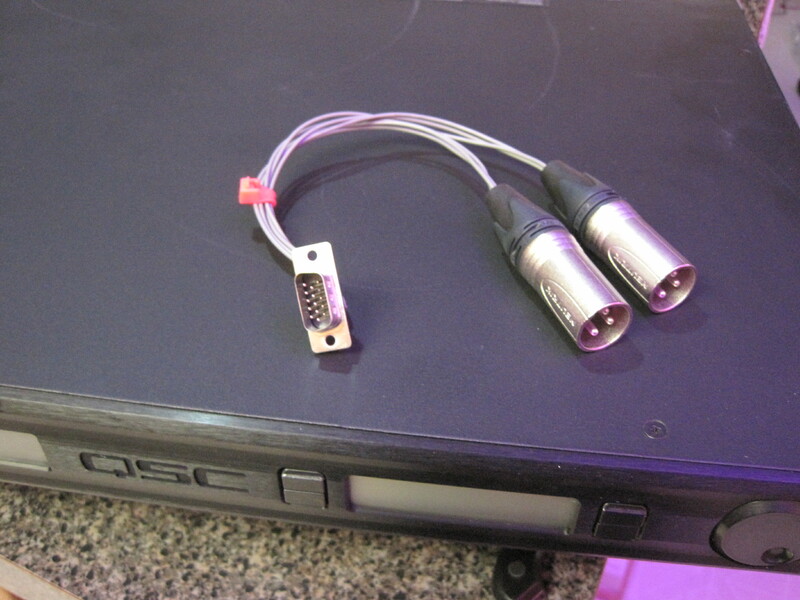 Doing some research online I found there is no issue making breakouts that go from DB-HD-15 to XLR or RCA, and QSC even sells a breakout board with screw terminals. Sweet! The bad news? Didn’t get the network working enough in the MAGFest arcade in 2017 to get it working. Next event, and in the meantime I will use my BASIS boxes with my amps to run audio around the house. Once the network is segmented so that the broadcast traffic from the audio doesn’t cause the WiFi to fall over…. I originally bought the Indigo from Reputable Systems (Greg Douglas) in the 90s. I was working tech support at the time, living with my parents, and it cost a good chunk of cash — especially by todays standards. Originally it was R3K with a lower level graphics subsystem that I believe could do some hardware 3d acceleration but only 256 colors. I’ll admit when I first started messing with it I was a bit disappointed. It was still sort of slow, but had good audio capabilities and worked well as an X-term. It wasn’t long before MP3 was a new thing and the system couldn’t decode a 128kbps MP3 real time though, it took about 6 minutes for a 4 minute song — so I would have to write it out then write it to minidisc. Creative commons licensed music, of course. Somewhere along the lines in my SGI fandom I think I ended up with a 9u VME frame that had an ELAN graphics boardset on it. I also ended up with a 2nd SGI Indigo from NASA auctions I used to frequent, one with the faster MIPS R4000 series CPU (R4K.) I remember posting that I was giving away a bunch of hardware including parts from the NASA Indigo, and left it and other stuff behind my office in Virginia Beach for someone else to pick up. But a homeless scrapper got to it first, taking everything metal and leaving plastic shards of laser printers and SGI Indigo (and other equipment) behind. Ugh. But I held onto my Indigo, not having looked at the CPU cards in a long time. The first thing I did was pull out the CPU card and thought, “man this is bulkier than I remember! What a crazy heatsink for this slow R3000 processor.” But it turns out the R3K board isn’t a R3K board, it’s a R4K board. So then I’m thinking, “Okay so I guess I kept the R4K CPU and the lower graphics board.” But no, the graphics boardset looks stout. So I guess I kept both higher end parts and gave away the old R3K / Entry stuff. Or maybe the Entry graphics was in one of the bigger deskside systems on the frame the Elan came on. I can’t remember. I remember that the Indigo had two power supply options. One for R3K/Elan graphics and one for R4K. I thought you could use a R4K with entry graphics on the weaker power supply as well. This was a huge issue in my mind since I figured my Indigo had the R3K PSU. I pulled the PSU from Indigo (My Indigo was always named Eggbert from a Super Mario Bros 2 character of similar name that was purple, so from here on it’s Eggbert.) 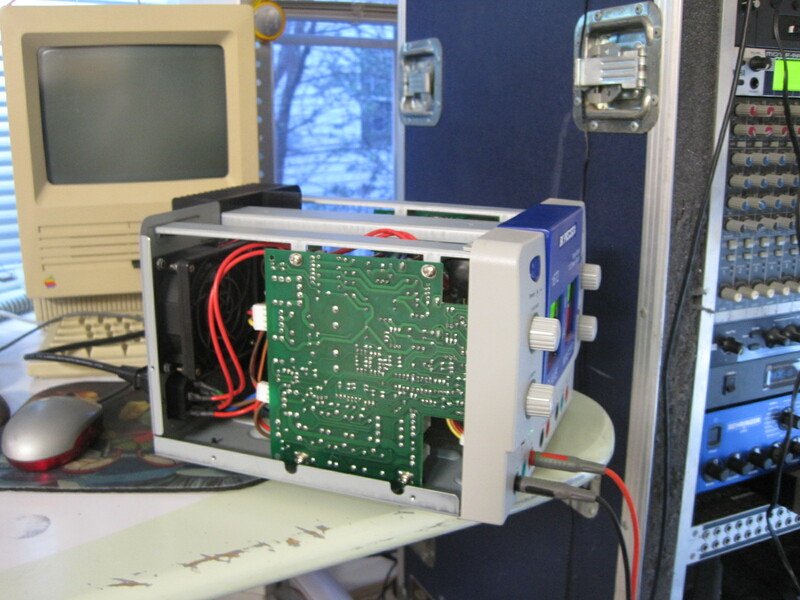 So Eggbert’s PSU turns out to be the R4K model! I opened it up, the capacitors look okay but that really doesn’t say much. No burnt smell inside PSU. 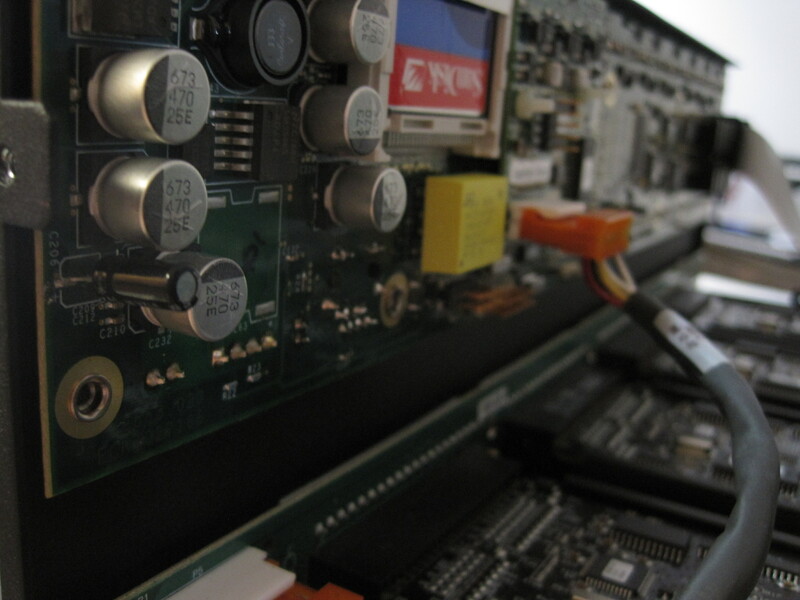 So back to sniffing the circuit boards more. I sniffed and sniffed. Two times over I missed the roasted capacitor on the bottom of the CPU card. I was thinking it had come from the graphics boardset, which sits in the case right next to the bottom of the CPU boardset. In the process of diagnosis I have made a list of all similar style capacitors on the board. I don’t know what is wrong with the machine, but if this style/make of capacitor is degrading from age then the solution should be to replace them. They’re SMD, but pretty large SMD so replacement shouldn’t be TOO bad. I measured the size with a caliper and best guessed on what it equates to in industry. I will also have to do a battery holder mod since TOD battery is dead. More updates once replacement caps come in and I replace them. I still need to pick up a miter saw and cut a few other boards, then I should be able to assemble the screen, connect it to my existing panels and program the control boards.